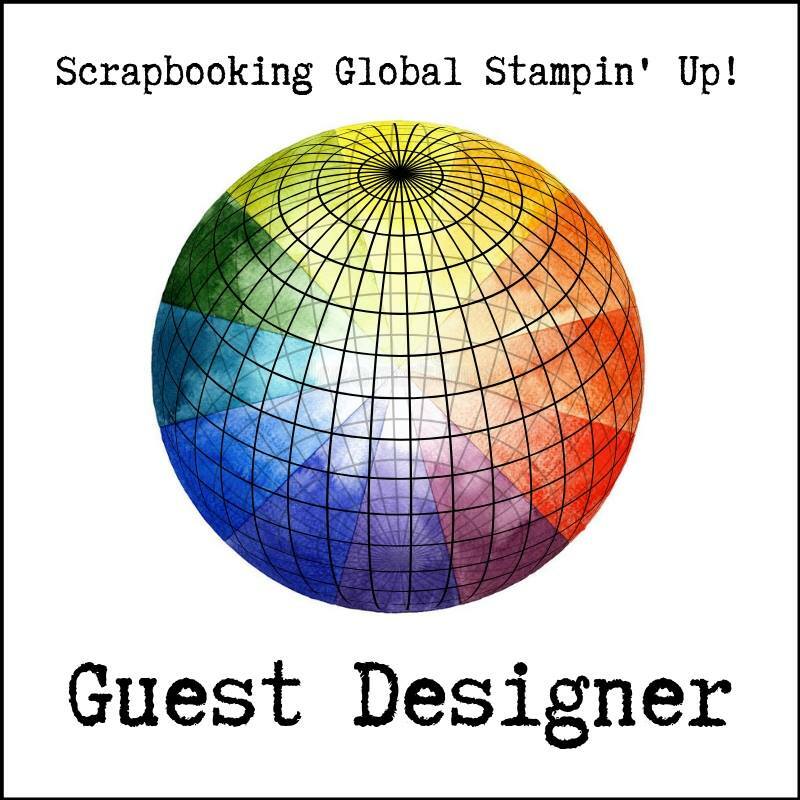 Welcome to Scrapbooking Global - Stampin' Up! 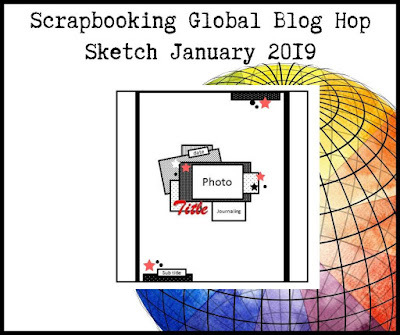 Sketch Blog Hop.Thank you to Danielle Bennenk (CDT) for creating the graphic for the sketch. Today we have 15 members of the group who are hopping along. 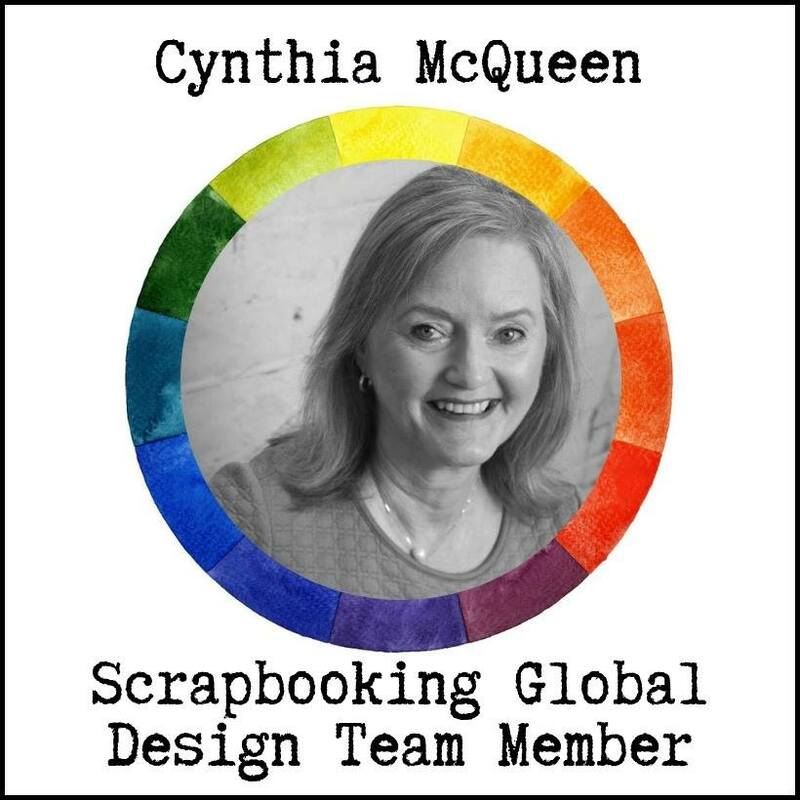 joining us is Cynthia McQueen from USA. 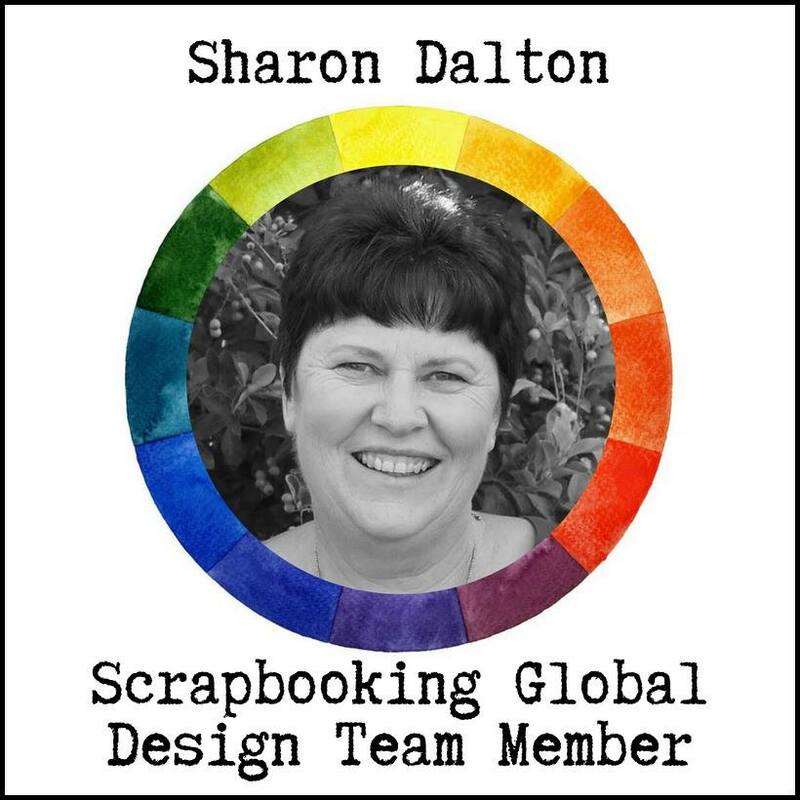 joining us as a Guest Design team member. 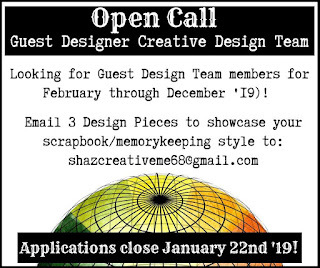 WE want YOU (Yes, YOU) to be part of our Guest Design Team. have create your layout exactly the same as the design. It is just a guide, to follow NOT COPY!! Sooo this layout I have kept it very simple...I have used the photos as my layering. 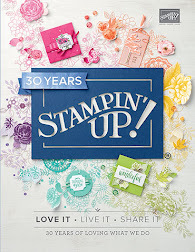 Limited stamping, BUT the focus is on the Sale-A-Bration FREE products. 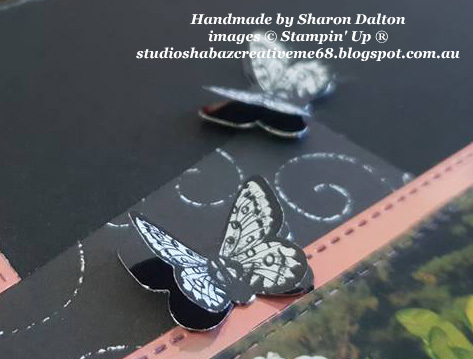 Botanical Butterfly DSP and Grapefruit Grove and Lovely Lipstick Foil Sheets. 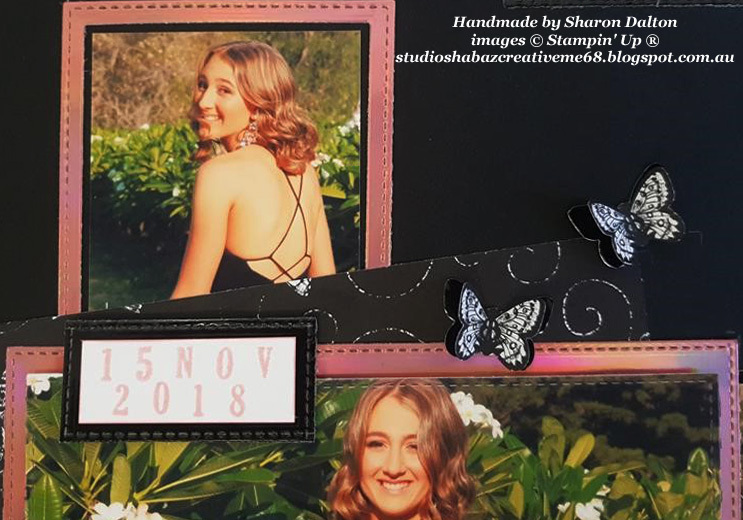 AND Butterfly Due Punch and Rectangle Stitched Framelits Dies. AS well as Designer Series Paper from Occasions Catalogue called Tropical Escape 6 x 6. Whisper White 12x12 Cardstock with Black A4 Cardstock for the centre. I cut 2 strips of Grapefruit Grove Foil Sheets to add to the edge of the black. 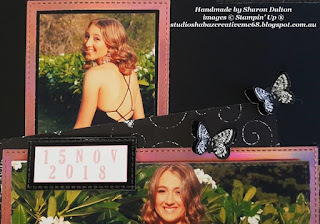 I cut the foil with Rectangle Stitched Framelits Dies to create frames. 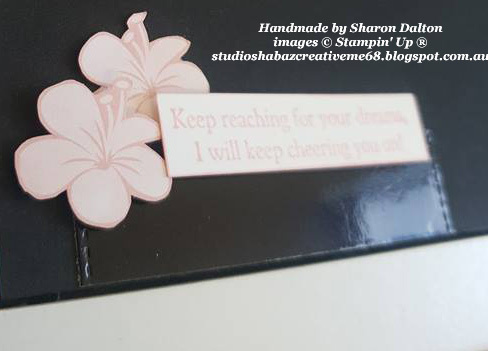 from the design to add to my page. I did use carried over Black Foil Sheets from Holiday catalogue as other frames. I fussy cut the flowers from Tropical Escape DSP to add to the layout. Blushing Bride Classic Stamp Pad Ink. is a FREE choice with each $90 you spend between Jan3 and Mar 31st. 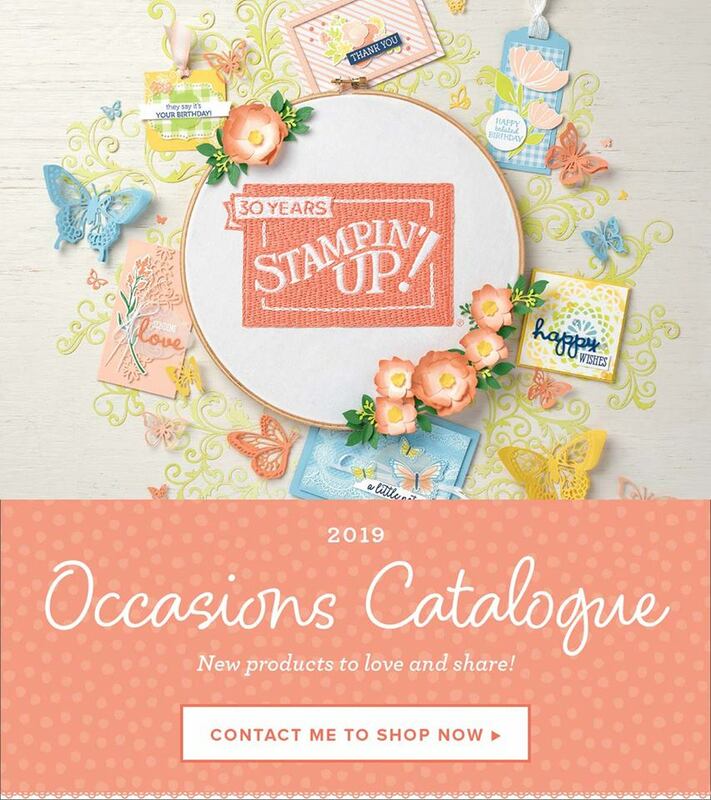 Check out my side tab for the Occasions and Sale-A-Bration catalogues. by leaving a comment to tell them how much you LOVE their creations. Calling for 'Guest Designers' for our Scrapbooking Global - Stampin' Up! Creative Design Team. 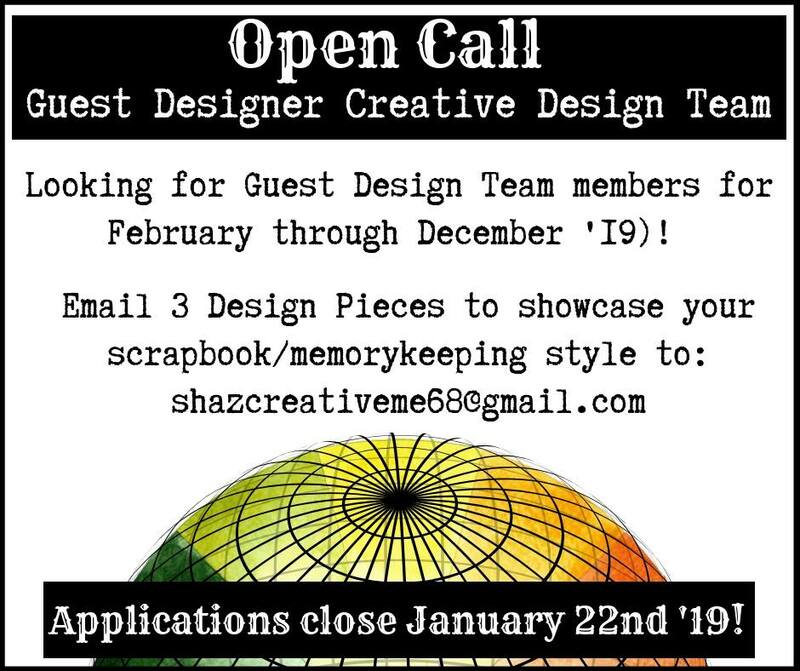 11 Guest Designers in total - Feb 19 to Dec19 - One Month position. 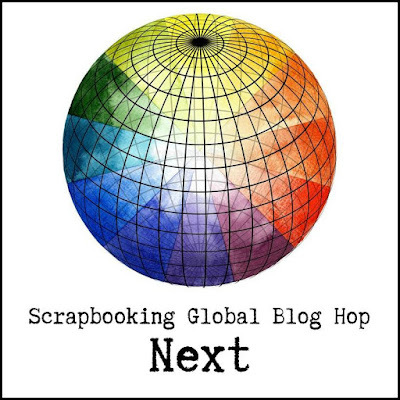 All Guest Designers must have a Blog to join the Monthly Blog Hop. 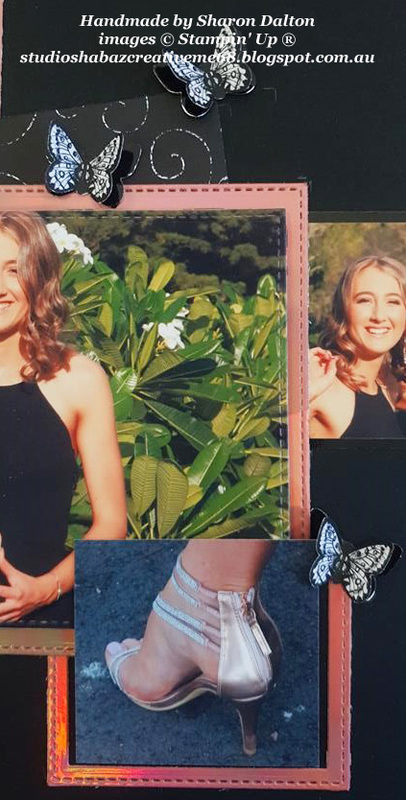 PLUS a CURRENT Photo of yourself. 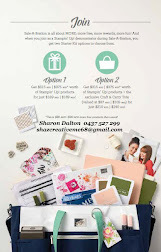 Open Call to EVERYONE from Beginners to Advanced Scrapbookers, Simple to Avid Styles will all be considered. STAMPIN' UP! 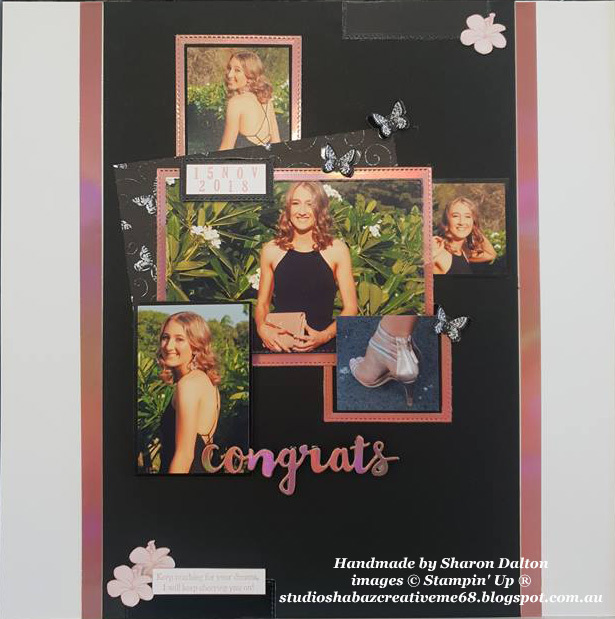 PRODUCTS ONLY - 2018-2019 CATALOGUE PRODUCTS, this includes the current Occasions and Sale-A-Bration products. Creative Designer Team will decide on Guest Designers 22nd -29th. 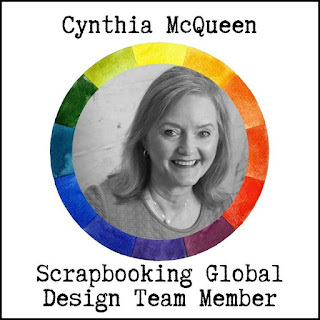 as a Guest Designer for our Monthly Blog Hops and all the other challenges. Love your use of the Foil Paper! Love it. The colours are beautiful. Oh,I just love that you used that foil paper for the frames, looks awesome. And she is so pretty, too.